Within 24 hours of hurricane Irma hitting Fort Lauderdale the cleanup efforts were already underway. The most common sound was chainsaws chopping up fallen trees. Irma hit the city with 70 mile-per-hour winds that were gusting up to 90 mph. Thousands were left without power or air-conditioning. Even charging cell phones and computers was a challenge. Slowly, businesses started to come back and power was restored. However, there are a lot of homes that are still dealing with cleanup either from those fallen trees or from items ruined with flooding. Although municipal services can help, they are certainly overtaxed and can’t be relied on. That’s why you might want to bring in the pros from Junk King Fort Lauderdale. They’ll provide you with fast a dependable hurricane cleanup with just one phone call. The crews from Junk King Fort Lauderdale have been working almost around the clock since the hurricane hit. They know how important it is for homeowners and businesses to feel normal again. Every cleanup session will be staffed by at least two strong movers. They’ll be arriving in a big truck that can hold a lot of debris. It doesn’t matter to Junk King whether you need to get rid of those fallen tree limbs or soggy furniture. All you have to do is point to what you want taken away and it will be quickly loaded onto the truck. The price for Junk King is extremely affordable. There’s no gouging with junk King! You’ll be charge the same flat fee that they always charge. That is based upon how much room your stuff will fill on the back of the truck. 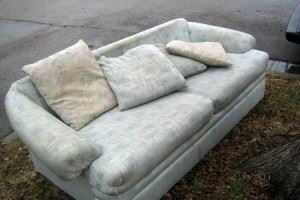 Junk King never charges by the pound and that can make a big difference with this type of clean up. You can book your appointment with Junk King online. If they are in the neighborhood, then they could also swing by on the same day appointment. Most of the sessions can be completed within a day. That can certainly be welcome relief. The sooner you can get rid of all the water soaked items the less chance you have for mold is starting to grow. When it comes to fast and affordable hurricane cleanup you can always count on Junk King Fort Lauderdale. This entry was posted in Fort Lauderdale Junk Removal and tagged cleanup, hurricane, Junk King, junk removal on September 25, 2017 by Junk King. Last updated September 25, 2017 .